Journalist and publisher Joseph Aston was to describe Ardwick as “one of the best built and most pleasant suburbs in the Kingdom to which its elegant houses its expanded greens and its lake in the centre all contribute”. The cotton magnates would recognise this, building their fine houses on all sides of what was once countryside, the nearest building being Ancoats Hall, whilst the Corn Brook stream ran through open fields lined with trees. The village takes its name from the Saxon King Aethelred and from “wic” the old English word for farm or dwelling. A survey of 1320 shows a village that has mills, fisheries and ovens with fishing from the river Medlock. 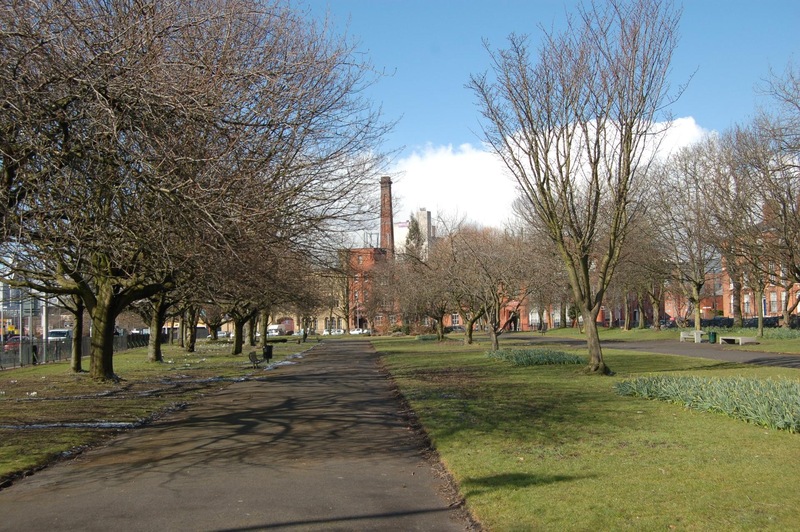 Ardwick Green had been dedicated to public use going back centuries by the Lords of the Manor. 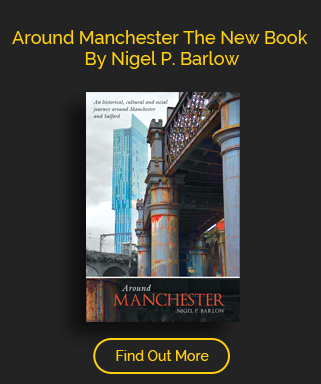 Even before the fine houses had gone up, it had been an escape from the bustling town of Manchester, famous for its beer and alehouses. Amongst the residents of The Green were the well known cotton spinner John Kennedy, James Beardoe of the firm Beardoe & Grundy, one of the promoters of the Manchester concerts and John Huthersall who ran an academy and can count amongst his pupils John Owens and John Faulkner, and also on Ardwick Green was George Wilson one of the leading lights of the anti corn law league. Mrs ’Linnaenus Banks author of the Manchester Man also resided by The Green, her book featured Ardwick Green’s pond while The Green hosts the Ardwick barracks, home of the 1st Manchester volunteers battalion. With its residents came its church and the red brick chapel of St Thomas’ was consecrated in 1741, the second oldest parish church. In his history of Manchester churches Hadfield describes it as “a model of a Grecian temple, its galleries and ceilings supported by fluted columns and shafts of the Doric kind”. Industry arrived at the beginning of the nineteenth century, its first mill opened in 1800 on Union Street and soon factories were lining the banks of the Medlock and the Cornbrook rivers. David Mosley would found his company that become well respected around the World in the area of rubber and tyres, others included Jewsbury & Brown, mineral water manufacturers, and by the late nineteenth century, the area was a hive of industry, coach builders, bakeries, breweries as well as manufacturers of preserves, cotton, an iron foundry and further up Hyde Road, W & J Galloway and Sons employing eight hundred at its peak and turning out a boiler a day. Meanwhile the coming of the railway saw the area cut in two, one viaduct spanning the Medlock and Ashton Canal a second stretching from Ashton Old Road to Chancery Street. In the first half of the twentieth century, the southern part of the Green was Manchester entertainment capital, the Empire Theatre later known as The Hippodrome, The Coliseum, The Picture House as well as a billiard hall and a wrestling theatre. All that remains is the Art Deco Apollo built in 1938. The second world war brought devastation to the area. With the railway goods yards on the maps of the Luftwaffe, a single bomber flattened two houses in Lime Street and demolished a railway bridge going over Fairfield Street in the first attacks of August 1940, bombers homed in on the Ardwick East Goods yard in the Christmas blitz of that year, but it was the March raids of 1941 which caused the most devastation, the Ardwick Cinema was hit and later pulled down and there was much damage done to the Royal Artillery Barracks.